The story behind Zone of the Enders is almost that of Greek tragedy. Every time the series seems to find a footing something knocks it back down. For the better part of two decades this was how it was and will be. Now once again coming out of the Tokyo Game Show a glimmer of hope shines through the despair as Zone of the Enders: The Second Runner is getting a brand new coat of paint in 4K HD and VR. With this news now is a perfect time to once more look back at Konami and famed game designer Hideo Kojima’s brilliant, ambitious, and widely under appreciated titles Zone of the Enders and its superior in every way sequel Zone of the Enders: The Second Runner. Why I am doing this is simple, no matter your thoughts on current issues surrounding the creators of this game, it is a game that needs recognition. It remains Hideo Kojima’s (not so) forgotten masterpiece. The original version of this article was published Sept. 18th, 2015 and has been heavily edited and updated. Think of it a Remaster. With release in March 2001 Zone of the Enders was little more then a joke. You see Zone of the Enders was first introduced to the world as “that free game with the Metal Gear Solid 2 demo”. As Konami likely figured probably correctly too, that North American audiences would need a pretty big carrot to get them to bite on this new franchise. 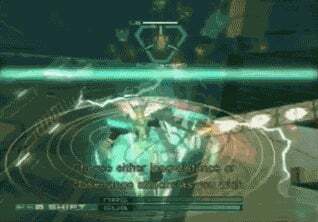 As Zone of the Enders seemed to push to the limits just how weird a triple A game could be in the early 2000's. This is because unlike its forebears Metal Gear Solid and Konami’s other major titles Zone of the Enders particularly unique mecha style action had never fully proven itself in North America. By this time among a certain segment of the population Gundam was a known property, however mecha video games were a unique breed among console gamers. With a genre dominated by MechWarrior and the Armored Core series the genre was small and relatively safe, Zone of the Enders changed that. What set Zone of the Enders apart from these two titles was its “High Speed Robot Action” in beautifully rendered 3D. Where the market leaders was slow, Zone of the Enders was fast. Indeed, strangely enough previous to this flight within the mech-action subgenre was not really a thing. As heavily armed and armored walking tanks were the norm as seen in the Armored Core games. High Speed Robot Action wasn’t just a tag line, it was a promise of something different. This is the reason despite being a glorified door prize for picking up the Metal Gear Solid 2 demo Zone of the Enders managed to carve out a place for itself on the packed Playstation 2, especially in its native Japan. This despite the fact with the benefit of hindsight the game itself was not all that good or revolutionary. 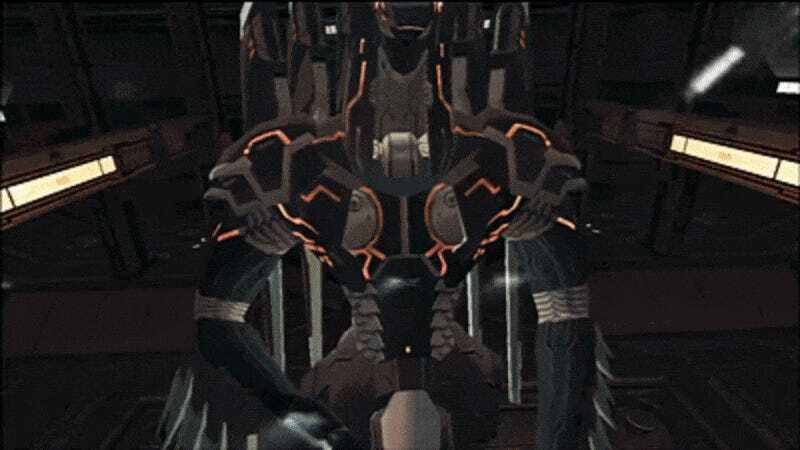 It was not until the games sequel Zone of the Enders: The Second Runner known in Japan as Anubis: Zone of the Enders, that the term masterpiece could really be applied. Taking the limited scope of the original and expanding it and refining it greatly. The games stages were massively expanded from the originals basic designs, the mission structure which was not exactly a strong suit of the original became more varied, and the story was raised to the level of insanity that fans of Hideo Kojima had come to expect. However despite all these improvement it was the battle system that really made the game stand out. As like many of its peers in the upper echelons of action gaming it was deceptively easy to understand and play while simultaneously having such a high skill threshold players could quite literally play again and again achieving new levels of awesomeness with each playthrough. In short it was a game that really made you feel like the ace pilot you were supposed to be. All this despite of the less then optimal frame rates, which would even plague the HD Remasters and Kojima standard annoying controls. If there is one issue the game has the Playstation 4 version needs to fix it is frame rates and controls. All around Zone of the Enders: The Second Runner was the game fans had been waiting a long time for, even if the did not know it and sadly many still do not. Even with the exploding popularity of mecha anime around the world in the proceeding decades and the mecha subgenre of gaming, no game has matched the amazing deep technical gameplay that The Second Runner revealed to us. This reality makes the tragedy that woul befall Zone of the Enders all the more pronounced going forward. Like many great games of the Sixth Console Generation Zone of the Enders seemed for a time to have been forgotten by its makers over at Konami. Hideo Kojima would periodically bring the series up, however this was only in passing. Doing little more to raise expectations in fans until time would invariably kill it. This is of course due to the fact that despite the Second Runner becoming a cult favorite later in time and an initial critical hit, the title did not sell well. Figures from the time indicate it failed to move more then 100,000 copies a disappointment by any standard. Especially coming from a Hideo Kojima branded game that was increasing in value by the day. 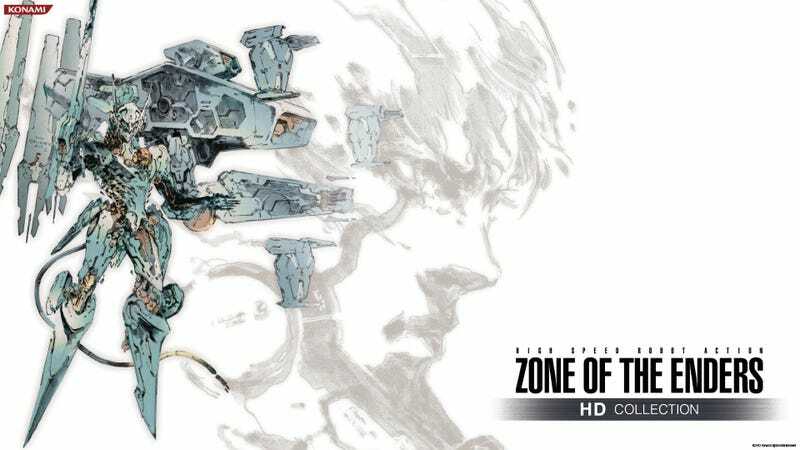 As time went on Kojima and Konami clearly saw Metal Gear Solid as the franchise to focus on and little by little Zone of the Enders began to fade from memory. Despite persistent rumors and a rabid fanbase putting pressure on Konami a sequel one never came. However in the dying days of the Seventh Generation when HD Remakes were starting to make a splash Konami offered hope by announcing a HD Remaster of the first and second game. Finally new players could be brought in! If there was enough sales perhaps the fans could even show that a desire for a sequel exists we all thought. However once again Zone of the Enders failed to meet even its modest expectations, this was especially true in North America. However despite this Kojima himself announced the long awaited sequel. For a brief and shining time Zone of the Enders 3 was actually happening! Sadly this new era for the series did not last long as according to reports Hideo Kojima was torn up over the lack of quality of the ports. Taking it personally very hard. As the Remasters themselves were admittedly subpar, somehow the frame rate issues of the first game were even worse then on the original release. The Second Runner was even worst; at launch the once amazingly fluid Second Runner played like it jumpy PSX game. Although a patch would eventually fix these issues for the PS3. Finally giving The Second Runner the solid 60 FPS it deserved all along, the damage was done. Kojima no longer trusted anyone to make the series but himself and the planned sequel was mothballed, until at least after Metal Gear Solid V.
Following the announcement and subsequent release of Metal Gear Solid V: The Phantom Pain with all the the trials and tribulations associated it Hideo Kojima’s other series became more and more of a distant a memory. Following on Kojima’s exit from Konami and his former companies decent into a black void where hope seemed to go to die. Fans had given up hope for any more Zone of the Enders. For a long time at the end like many things involving Konami these days, the ending of our story was a bleak one. However with the reveal at the Tokyo Game Show that a PS4 remaster of The Second Runner as Zone of the Enders: The 2nd Runner M∀RS, fans are feeling a familiar sensation. That of hope once more. Perhaps finally Zone of the Enders will get the recognition it has always deserved. Time to finally step out of the shadows of Metal Gear and no longer be Hideo Kojima’s forgotten masterpiece. Unlike other forgotten works with Zone of the Enders: The Second Runner HD standing as a testament to the potential of “High Speed Robot Action” perhaps one day we’ll see that long awaited next entry. We continue to wait. Perhaps this journey back to M∀RS can yet get us there.